Hong Kong remains one of the best places to buy a good suit cheaply. The British Royal Family still buy here, after all. Unfortunately, Hong Kong tailors don't all enjoy a glowing reputation. Many tourists and suit buying locals alike can rattle off the names of tailors where they had a bad experience. The problem is that many of the more prominent tailors that tourists find themselves holding leaflets from are disreputable merchants. While outright scams are rare, poor quality service and underhanded sales tactics are rife. The chances of being ripped off by a tailor in Hong Kong is far greater than in London or Paris. Common problems run the gauntlet from suits sewn using cheap fabric that falls apart weeks later to suits that are shipped but don’t fit or, even worse, those that never arrive. So how can you make sure you see the best Hong Kong tailors? Do not go to a tailor advertised salesmen standing on Nathan Road, Mody Road or any of the roads nearby. Are all of the salesmen on these streets dishonest? No. Are many of them? Yes. Don’t take the risk. Better tailors don’t use street salesmen to pressure you into a quick sale. If you are in town for business, ask colleagues at work for a recommendation – most locals will have found someone they are happy with. Nothing beats a local recommendation. If the price seems too good to be true, it probably is. Shop around; look at prices in your home country and then at least a couple of different tailors in Hong Kong. If the price is drastically lower than competitors then it is likely that the quality is as well. It’s not that there are no bargains in Hong Kong – there are – but they are bargains not fire sale giveaways. The price of suits in advertisements can be enticing but is often misleading. Make sure you are completely clear on exactly what the deal involves. Be explicit about what you do and don't want, and make sure the price has been clearly agreed upon. Tales of an extra (but unwanted) jacket being ‘thrown in’, only for it to double the price you need to pay are not uncommon. Hong Kong sales culture is aggressive, and you’ll need to be robust in your negotiations. 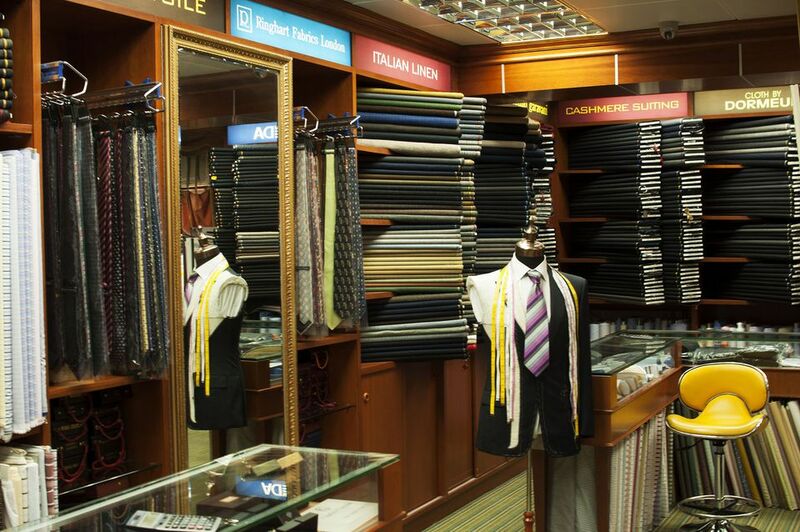 Even the better Hong Kong tailors are not there to do you any favors; they are there to make money. As salesmen, don’t expect especially honest advice. You should have a decent idea of the fabric you want and what sort of price range you expect to pay before you enter the shop. Hong Kong tailors are famed for their speed, but this is not necessarily a good thing. While it’s sometimes possible to get a well-tailored suit in one fitting, it’s almost impossible to get an ill-fitting suit out of multiple fittings. If the tailor insists one fitting is enough – depending on how much you are paying - you may want to look elsewhere. Probably one of the greatest causes of a complaint is suits that are shipped, but once opened turn out to be too small or too big, made from the wrong material or missing items. Unless dealing with a tailor you trust or one of the Hong Kong tailors that visits your home country, make sure you try on the final garment and either pack it or ship it yourself.